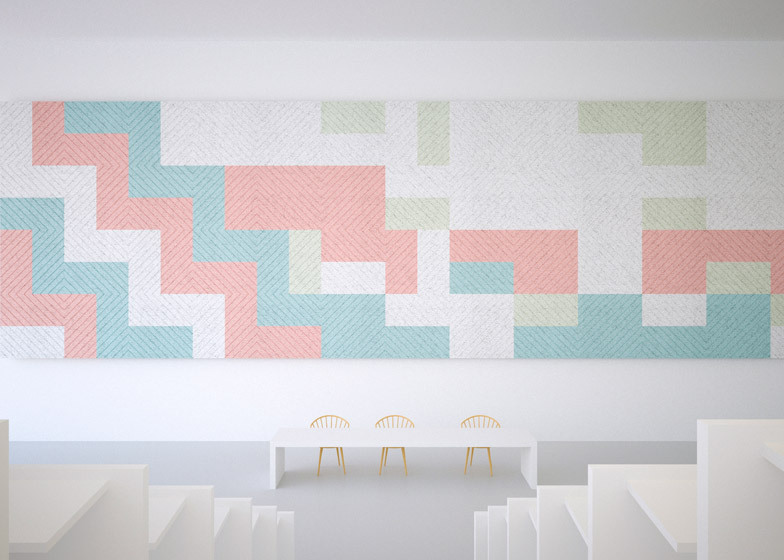 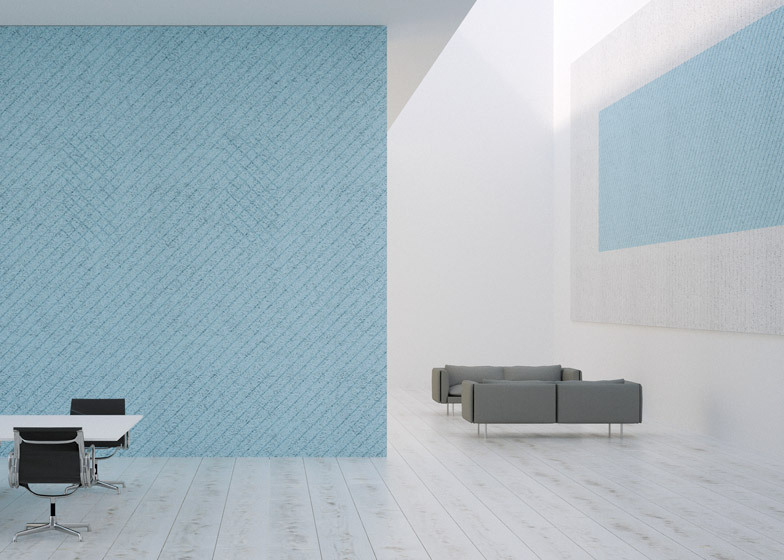 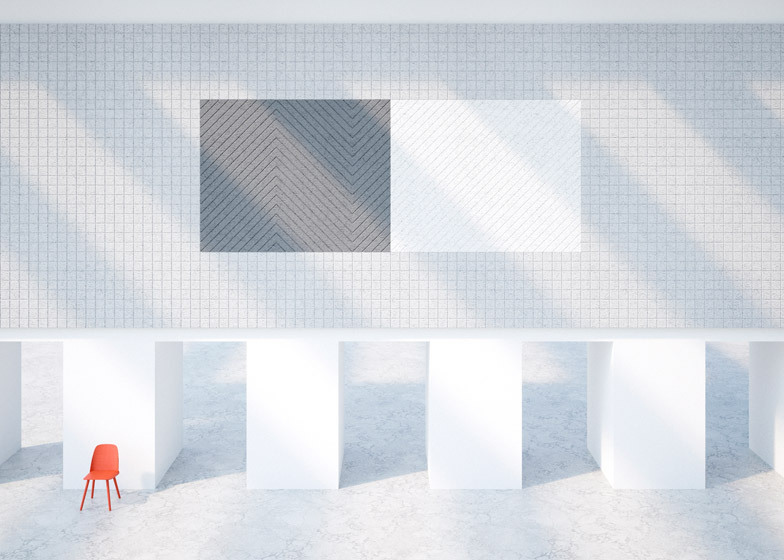 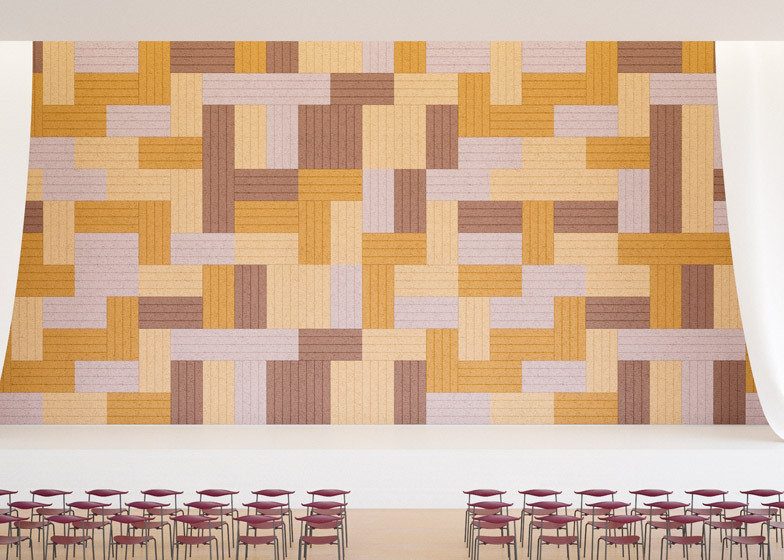 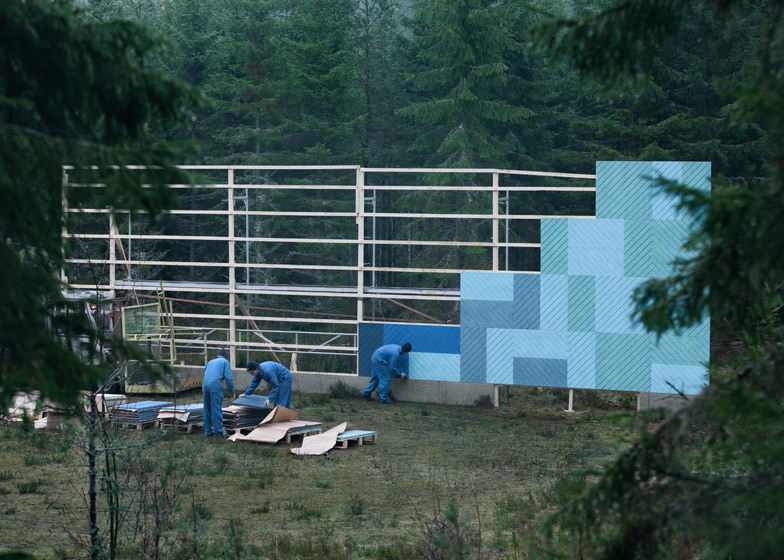 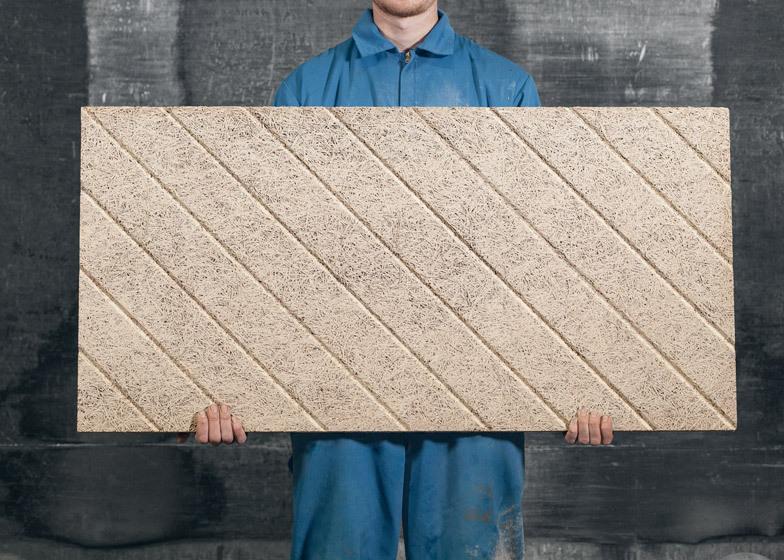 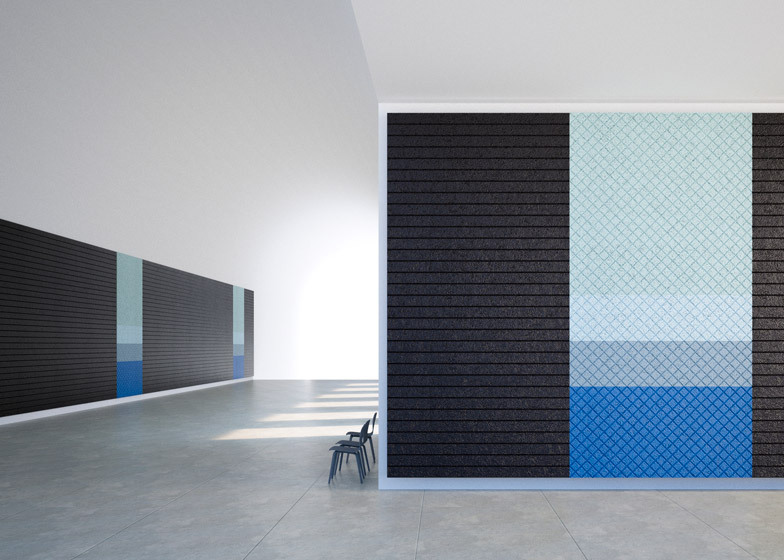 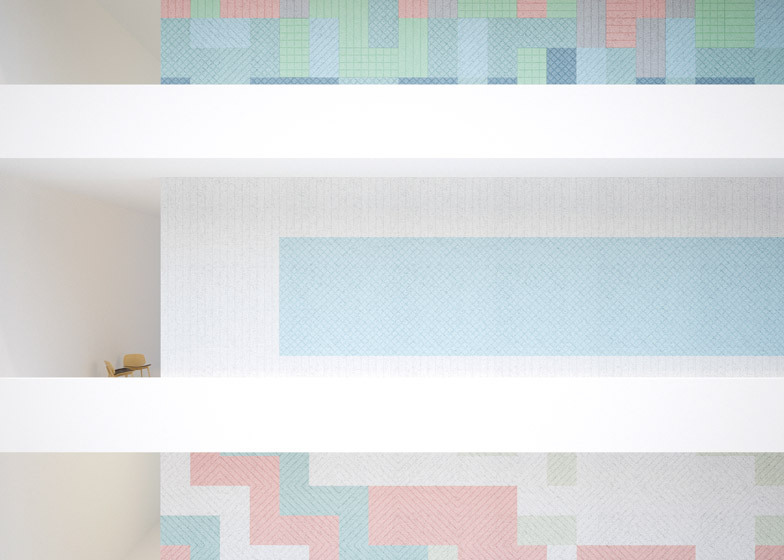 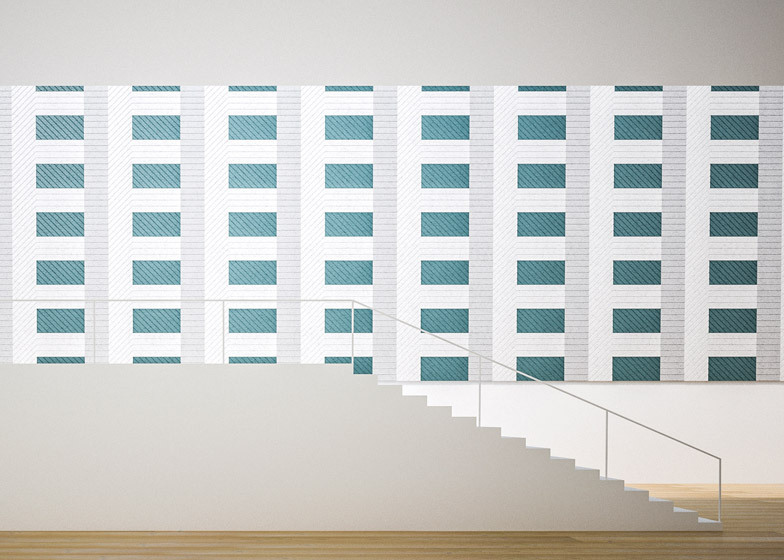 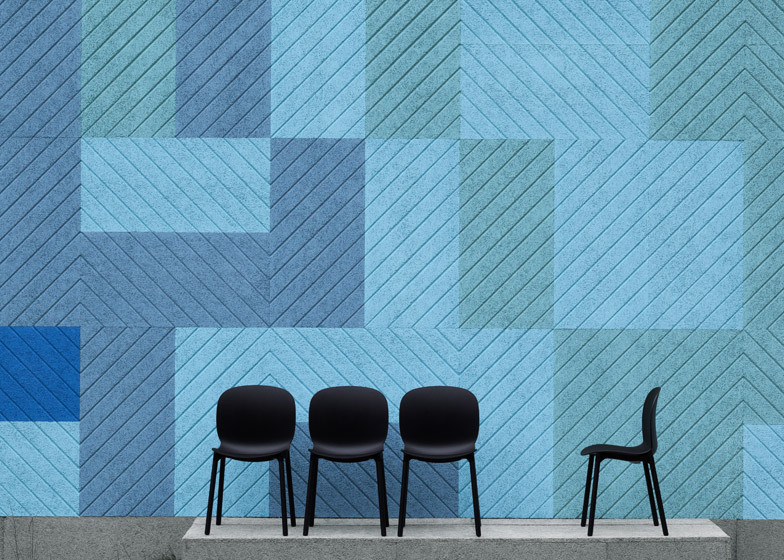 Stockholm 2015: Swedish studio Form Us With Love has extended the range of colourful construction materials offered by its brand Baux to include acoustic panels – the second set launching in Stockholm this week (+ slideshow). 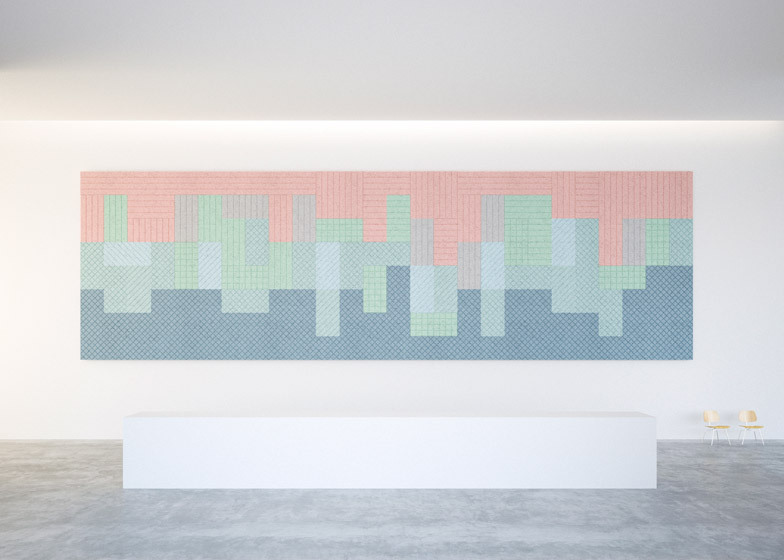 The BAUX products will be presented at this year's Stockholm Design Week, where Oslo studio StokkeAustad is also presenting acoustic panels. 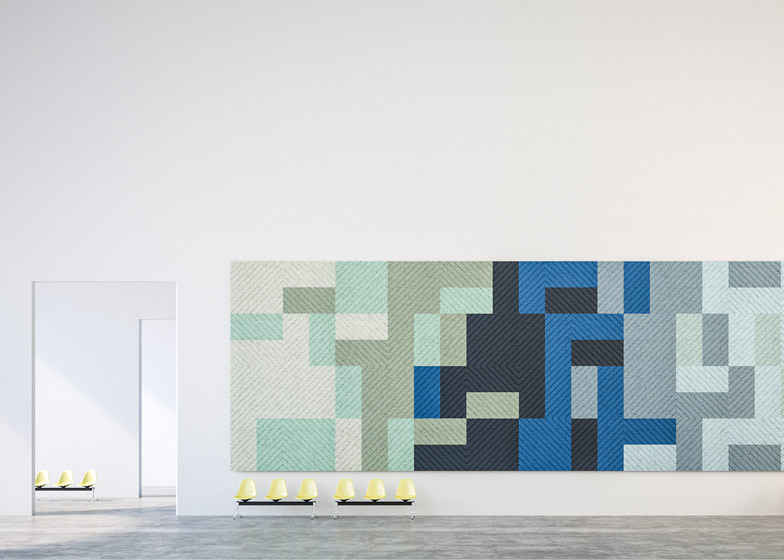 "The acoustic panel collection inspires us to create holistic interiors at scale," said Form Us With Love. 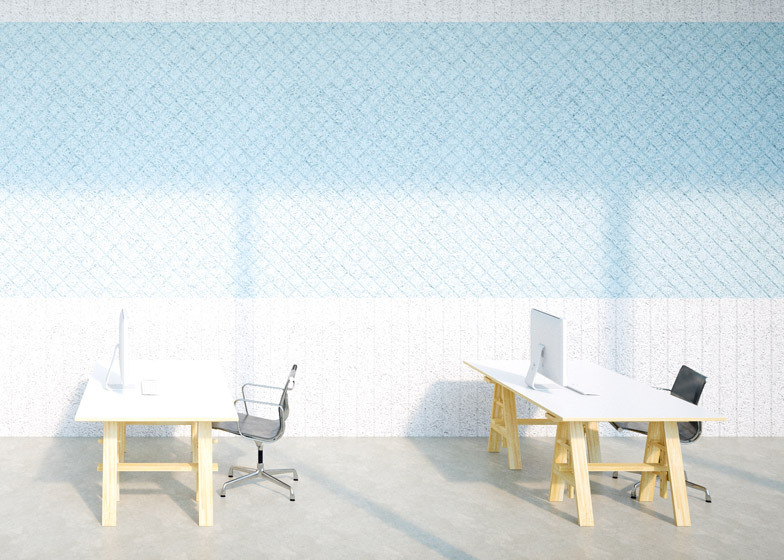 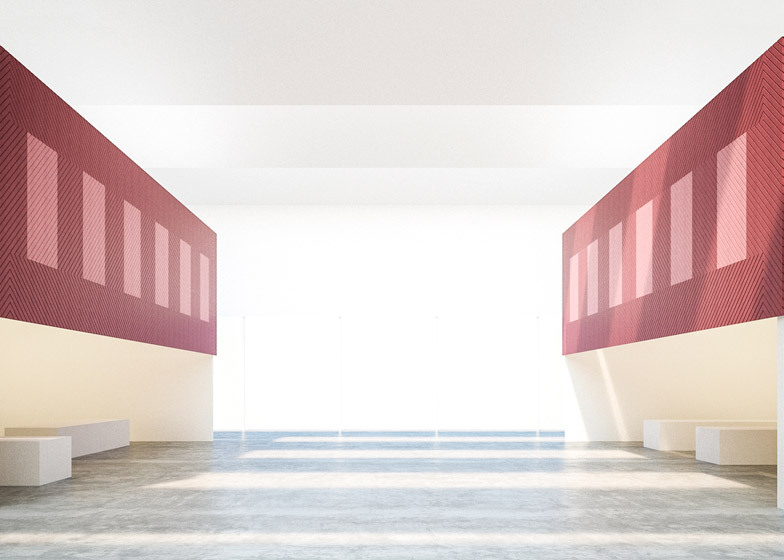 "By using large patterns, we can integrate empty walls and open planned spaces in a both practical and emotional way." 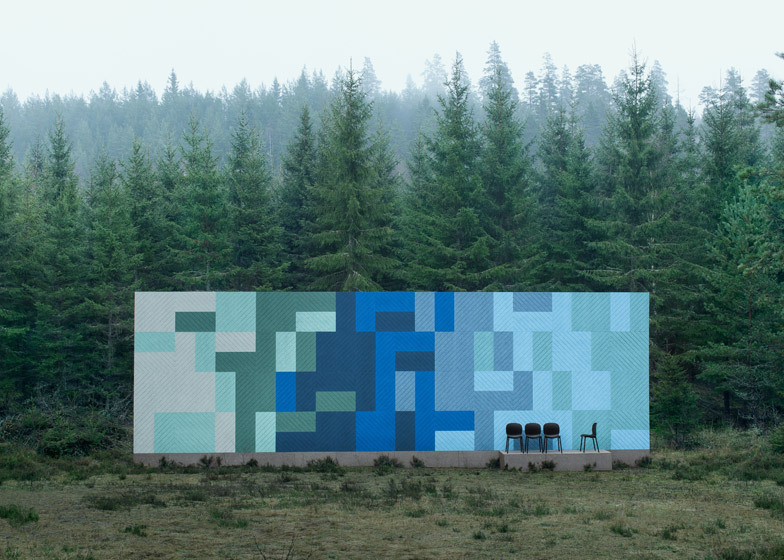 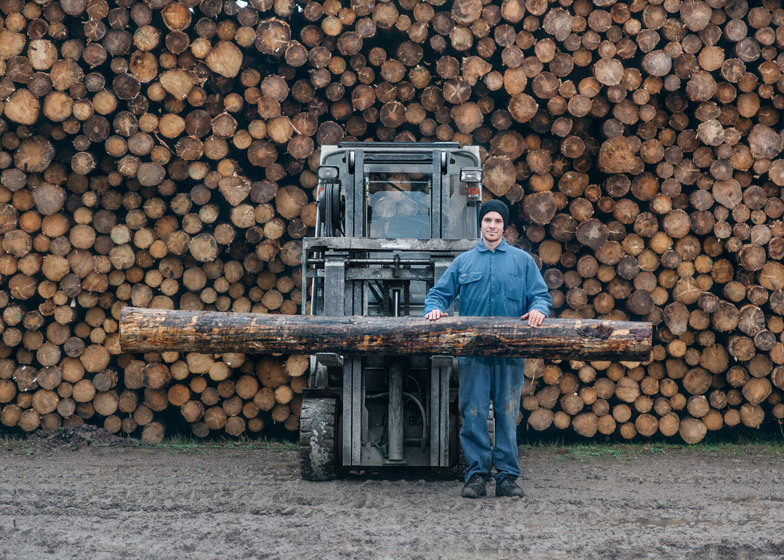 "The pattern resembles the view of nature that we are surrounded by, imagine the scenic view from a train or car window while travelling at high speed through a Nordic landscape – deep blues, dark greens and earthy browns," said the team.